Soft jersey fabric, elasticated, pleated short sleeve. Scoop neckline with banded cuffs and hemline. 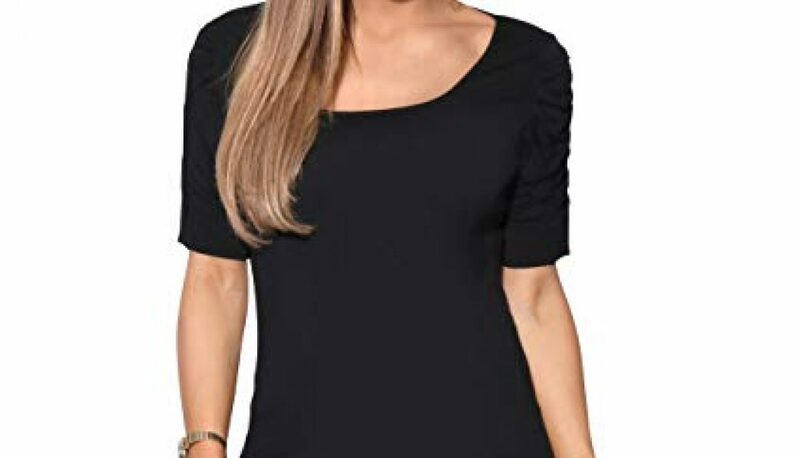 All occasion jersey top, with cute ruched sleeves, that may be worn with virtually anything.